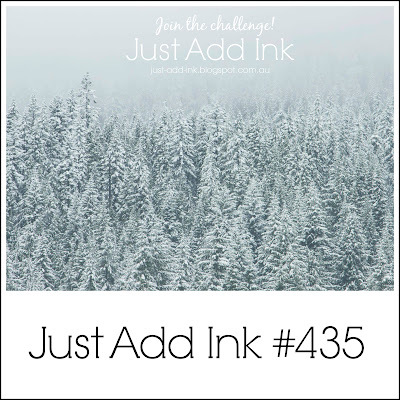 How wonderful to see all your Wintery creations over the past week. At this time of the year it's not surprising that most of them are Christmas cards. 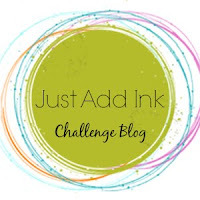 Thank you so much for sharing your creativity with us here at Just Add Ink, we really do enjoy visiting your blogs to leave a little comment love. 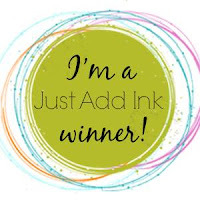 The design team has voted & this week Kez is our 'Top Pick' with her fabulous work of art. 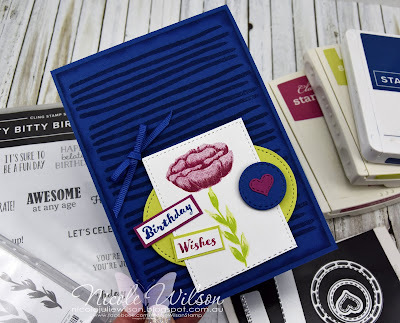 It's the card that never ends with two fabulous front scene layers and then a stunning inside as well! 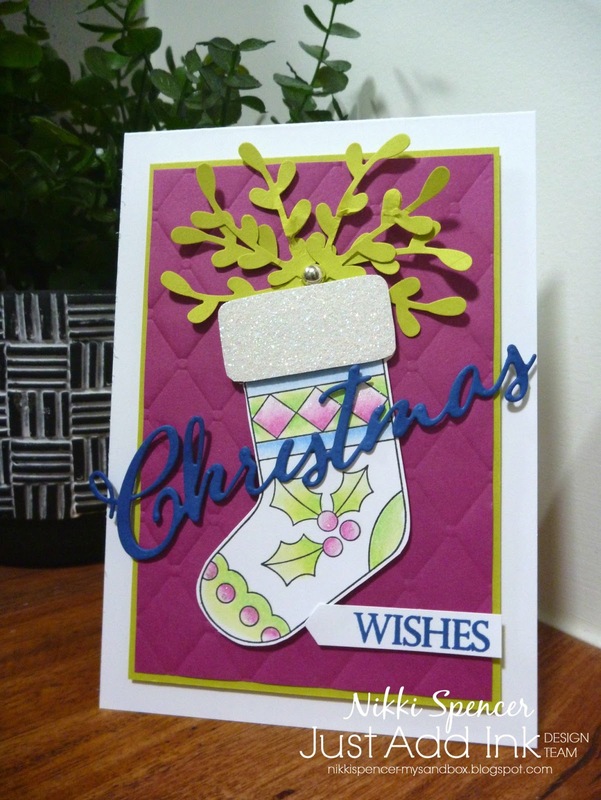 Such a lovely elegant colour combination and fabulous multi layer fold. I love the elegant design and interesting fold. 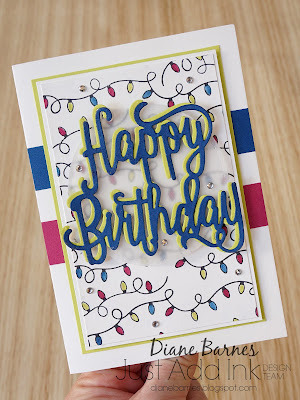 A very special card for someone to receive. A beautiful take on the inspiration picture. The layering of the dies gives that added dimension and the shimmery pearl mist is a beautiful finishing touch. This soft, peaceful scene and bold and beautiful message is a stunning combination! I love how the essence of the inspiration picture was captured with the elegant use of muted colours and layering of die cuts. Vibrant inking and artline tree diecuts, make a gorgeous combination and lovely modern twist on Christmas. 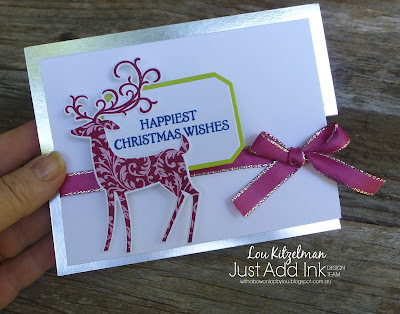 I love this fun, fresh take on a Christmas card. 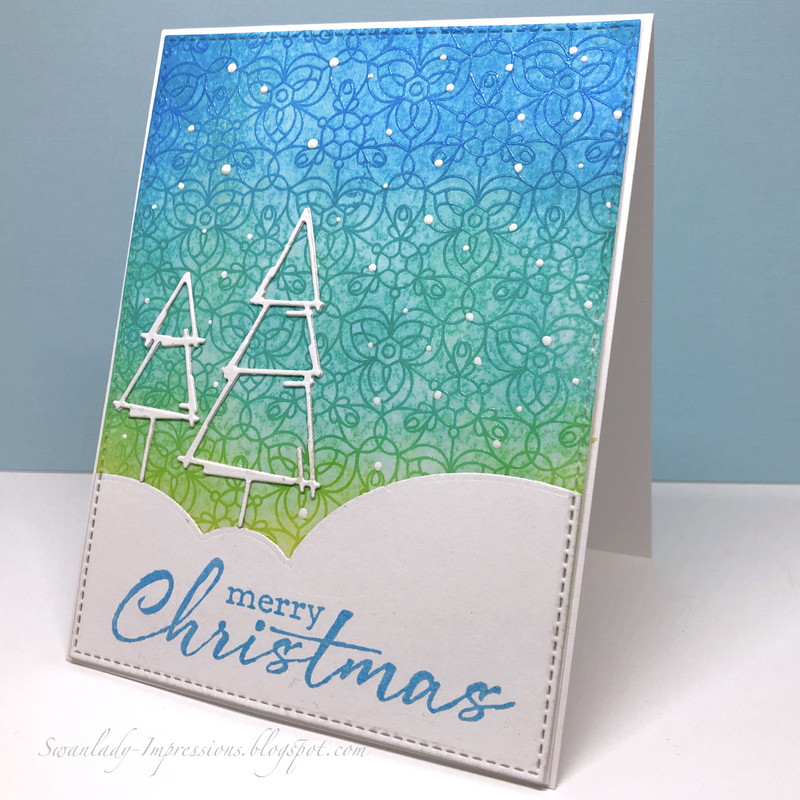 This vibrant, background paired with the delicate snow and tree details is simply gorgeous! 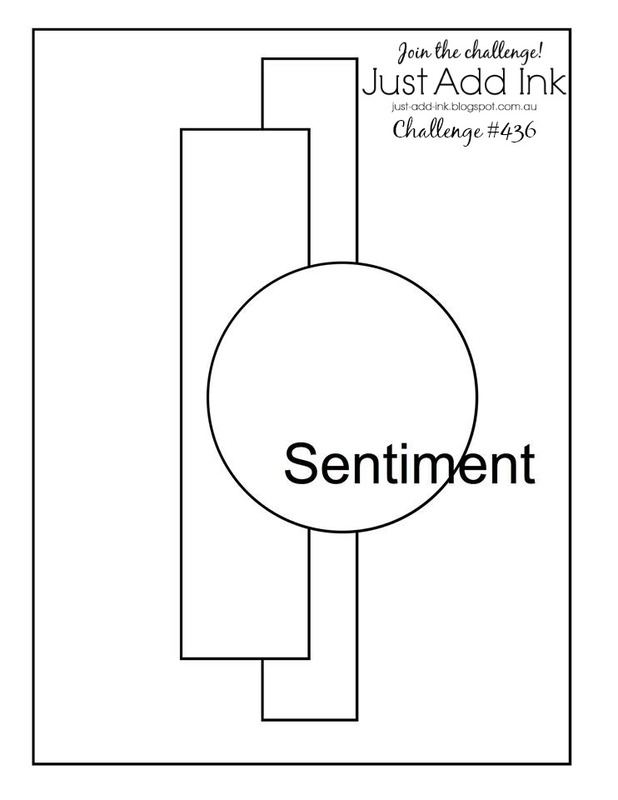 This weeks Challenge, "Just Add A Big Bold Sentiment" was fun. 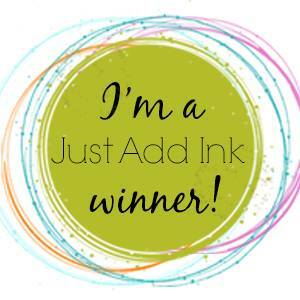 It was so great to see the gallery full of your wonderful creations - thank you all for playing along. 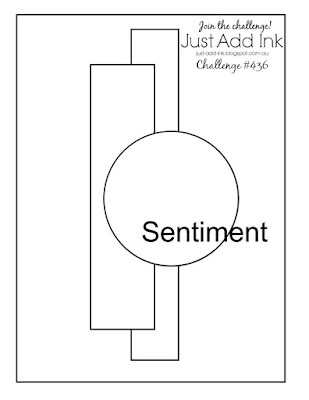 We love seeing your ideas, they always inspire us with new ideas and techniques to try out. 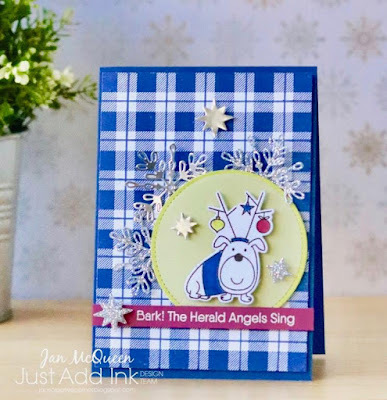 "I loved the stunning layering of reindeer's and more reindeer's plus the rich gleam of copper"
"Great use of word die-cuts to make a big impact sentiment! 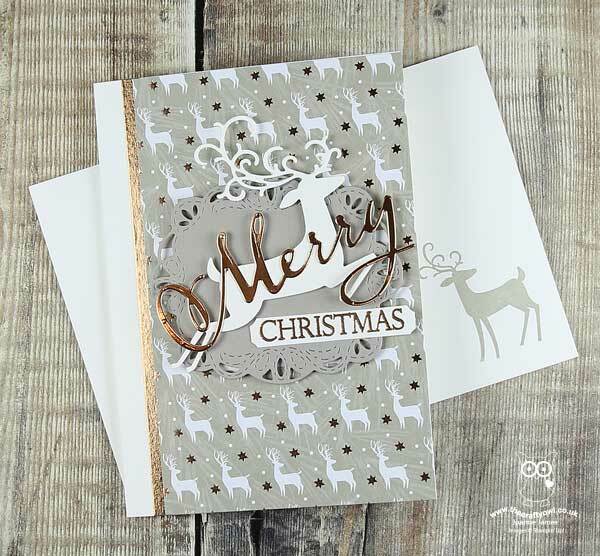 Love the colour combo too"
"The monochrome colours and pop of colour along with the reindeer theme is stunning!" 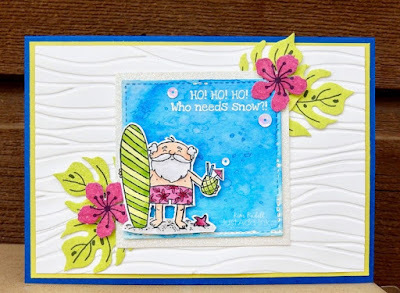 "This pretty pink, fun creation just made me smile! Super cute!" 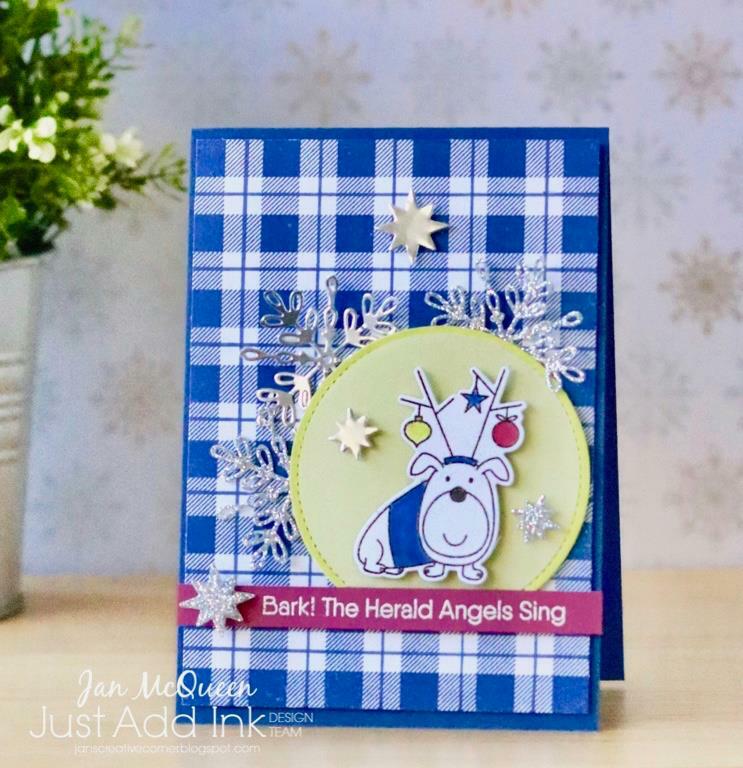 "Gorgeous non-traditional colours for very traditional and oh so cute snowmen!" "So fun and cute! Love all the the details to make the snow crowd individuals!" 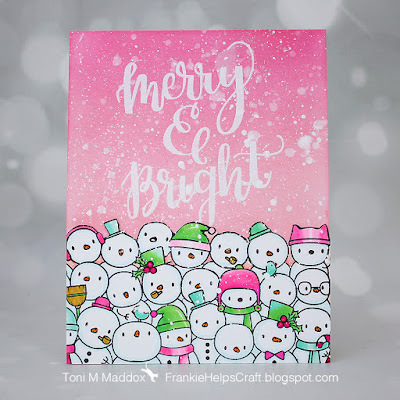 "Fabulous balance of colour and detail and how cute are all those snowmen!" "Such a cute card, the snowmen the windows! Love the windows and bright bow"
"Fun, Bright and makes you smile!" 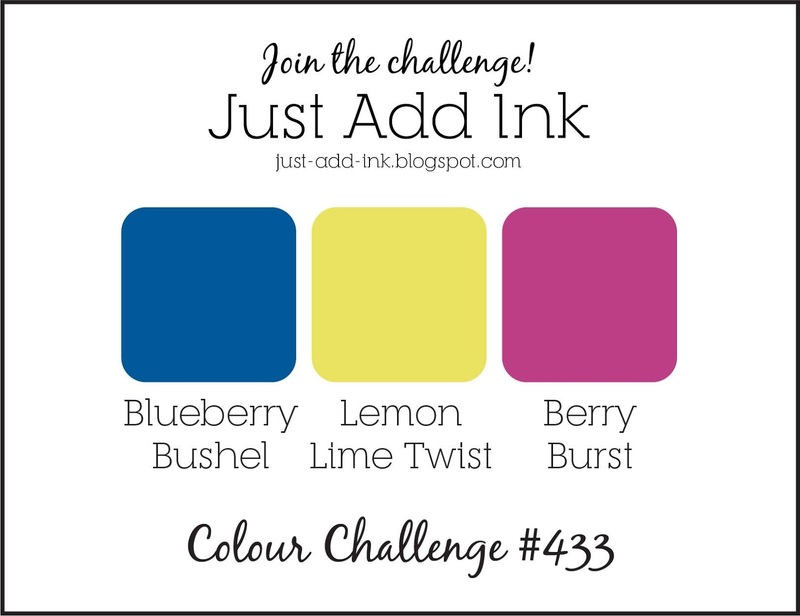 A big thank you to everyone who joined in with our Colour challenge this past week! 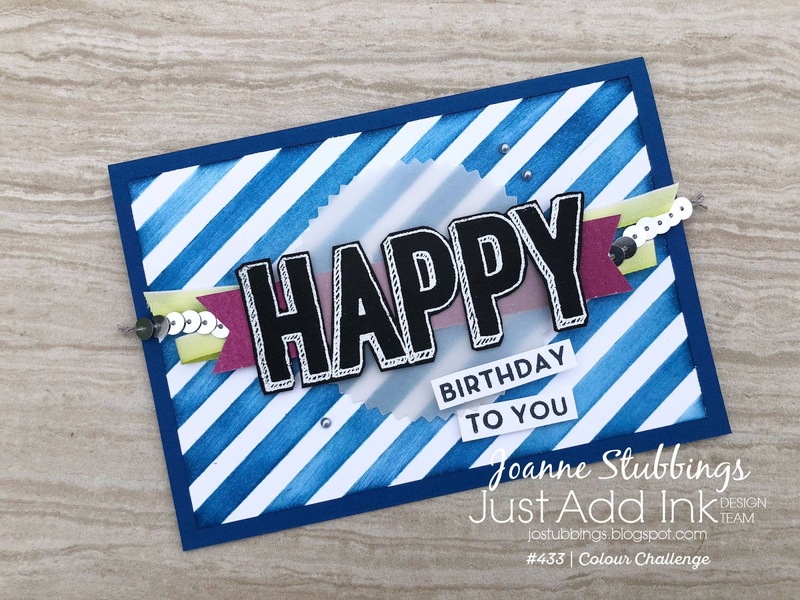 We loved popping by all your sites and blogs to see how you chose to use these fun and bright colours in your projects. 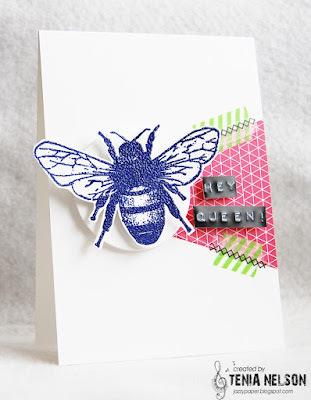 The design team votes are in and this week our "Top Pick" goes to Tenia Nelson for her fun and graphic Queen Bee! 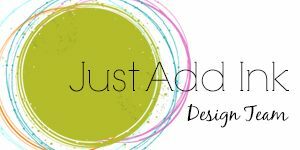 I love the interesting design and layout with our fun, fresh colours. Total Queen! Interesting embellishments and layout, perfect for these bold colours. Love the clean design and pops of colour, great idea to use washi tape like that. Bold and bright focal point with a lovely soft background. The soft and subtle background effect is lovely! 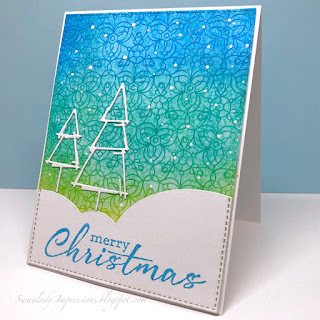 A gorgeous way to highlight the big snowflake. 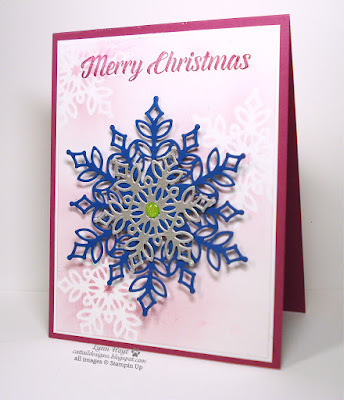 Love the big bold snowflake against the subtle background. Love the mix of rich colours, graphic elements and florals. 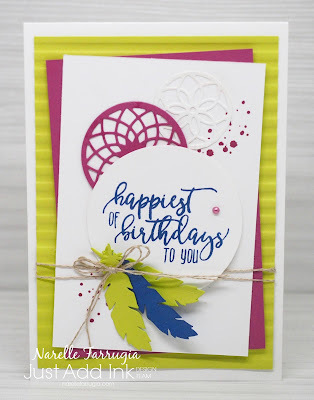 Lots of fun colour with a great layout. 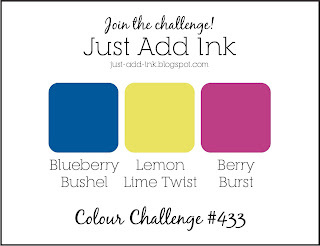 This week at Just Add Ink we have a bright fun colour challenge for you from Jo. 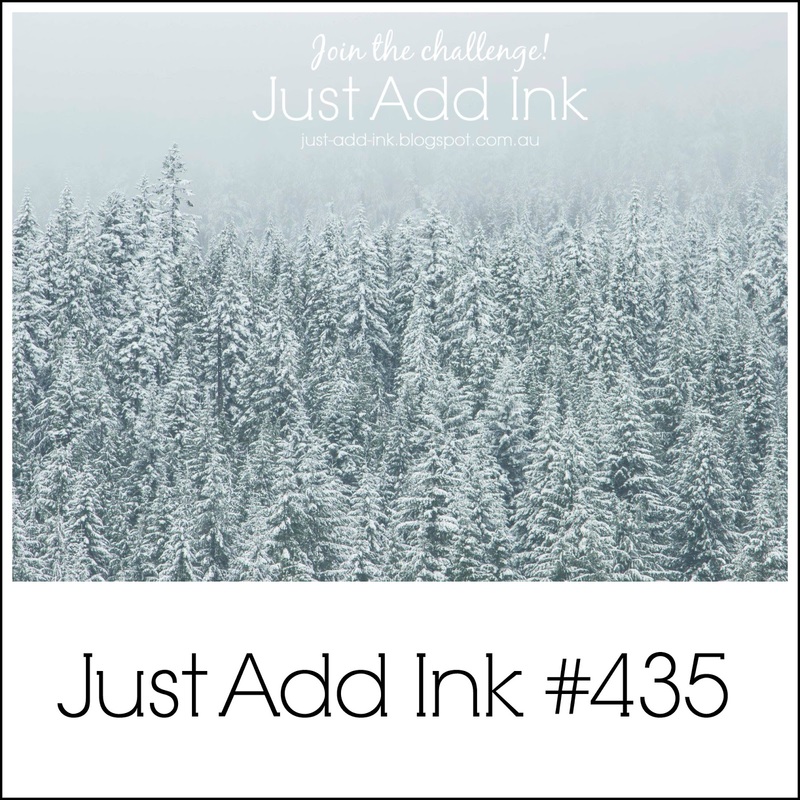 There will be lots of opportunity to enter as the challenge will be running for an extra week (closing Nov 14th) as the majority of the Just Add Ink team will be busy catching up at the different SU! OnStage events running around the globe Nov 8-10. We hope to see some of you there! Here are the colours. Enjoy!